GlamGlow has done it again! 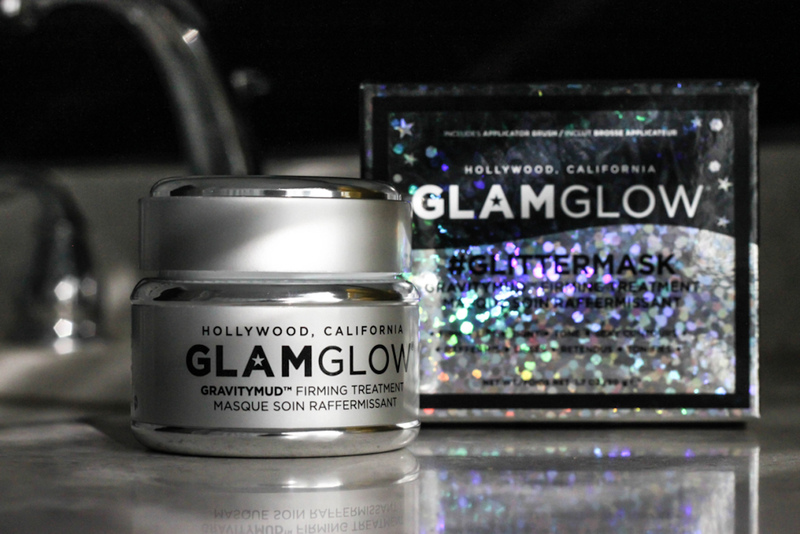 They have taken their iconic Gravity Mud firming mask and switched up the gimmick; instead of the original metallic silver, they have released the #GlitterMask for a limited time. 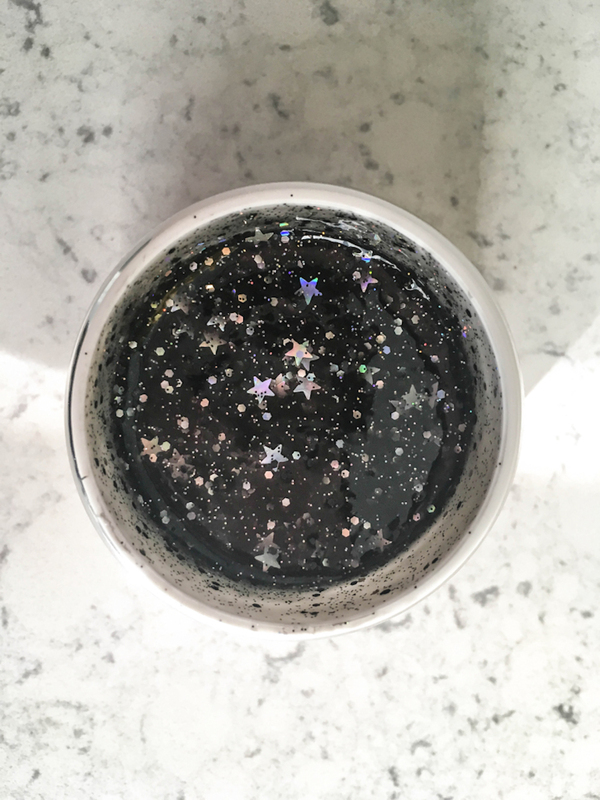 The #GlitterMask is transparent black with holographic glitter in it. I know what you’re probably thinking, “that looks like a bad time, that glitter will be a pain to get off my face”. Well turns out that is far from the case. GlamGlow has perfected this formula and as long as you wait for the mask to fully dry, it comes off in one piece with nothing left behind on your face. The removal itself was painless, in way it was like peeling dried liquid glue off your hand as a kid. My general rule is wait for the edges to start peeling up before I attempt to take the mask off. In this case I found it to take about 30 minutes before it was ready to peel which is longer than what I am used to. Gimmick aside, this mask is pretty great. It smells like a pina colada and it left my skin feeling pretty soft after the masks removal. I did notice a stinging sensation when I first put the mask on but that disappeared as it began to dry. I was also impressed by the fact that my skin seemed brighter and felt firmer after using the mask, although I’m not sure if that was from rose tinted glasses from having to shell out $79 for a face mask. Either way this was a fun treatment to experience and I would recommend it if you’re looking for something fun that will also help firm and brighten your face. I will say though, that for the price I can’t justify adding this to my regular routine, it’s more like a once in a while treat.